He is star attraction at bowling event that provides scholarship money for children of police and firefighters killed in the line of duty. Steven Matz admits that he isn’t a good bowler. But the lefty from Long Island is good at pitching in for a worthy cause. He was at Bowlmor Lanes in Times Square Thursday night, talking Mets baseball and serving as the star attraction at “Strikes with Steven” for his Tru32 program, which is in honor of New York City first responders and the military. Matz drew 350 people to the bowling event that raised scholarship money for children of NYPD and FDNY members who died in the line of duty. 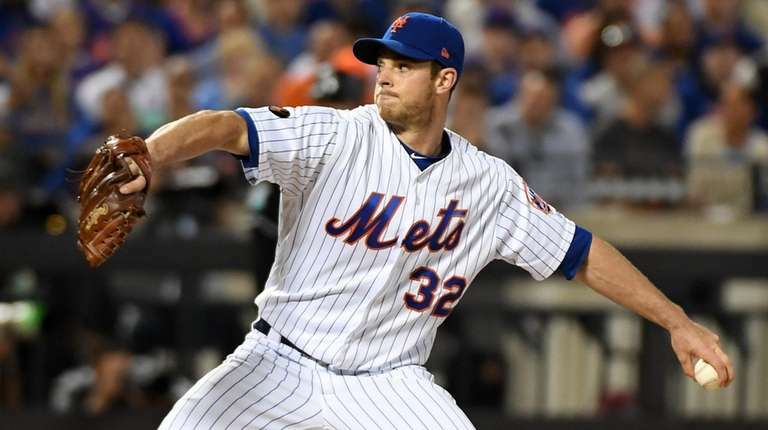 Matz’s Mets finished fourth in the NL East, but they owned the division’s best record from July 1, going 45-37. The rotation was a strength with Jacob deGrom, Noah Syndergaard, Zack Wheeler and Matz. The Stony Brook native isn’t worrying about whether new general manager Brodie Van Wagenen will deal him in order to try to fix a weakness in another area. So how important is it to keep this rotation together to contend next season? DeGrom went only 10-9, but he posted a major-league-leading 1.70 ERA. He could claim the NL Cy Young Award Wednesday night. “I think Jake’s got it,” Matz said. Matz made a career-high 30 starts, and he worked on staying focused in adverse circumstances out there along the way. His record was just 5-11, but his ERA was a respectable 3.97. It was 2.51 over his final six outings. “This year, I would like to get more innings per start,” Matz said. He’s happy that manager Mickey Callaway will be returning to help guide him.